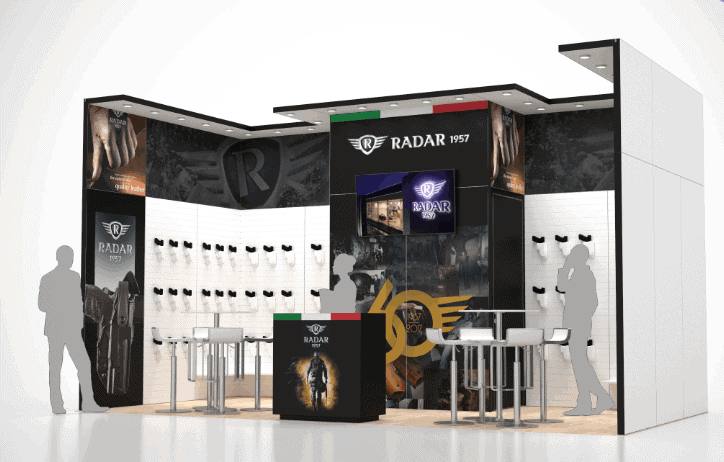 The 10 x 20 Local Las Vegas Trade Show Exhibit Rental Exhibit Experience booth has been designed specifically to show off a wide range of products. Very simple in nature, it allows for either a showcase from a presenter or as a standalone for attendees to view the products on their own. Features include ample product space, storage space, prominent graphics and logos all around the space, top lighting, and two separated informal meeting areas with bar stools and chairs. Exhibit fabrication takes place in Las Vegas or Orlando, and as a local Las Vegas and Orlando exhibit house, we offer complete turnkey services from design to delivery. For more information in regard to 10 x 20 Local Las Vegas Trade Show Exhibit Rental, give us a call at (800)-354-6022 or send us an email at [email protected] Contact us today for your complimentary consultation.